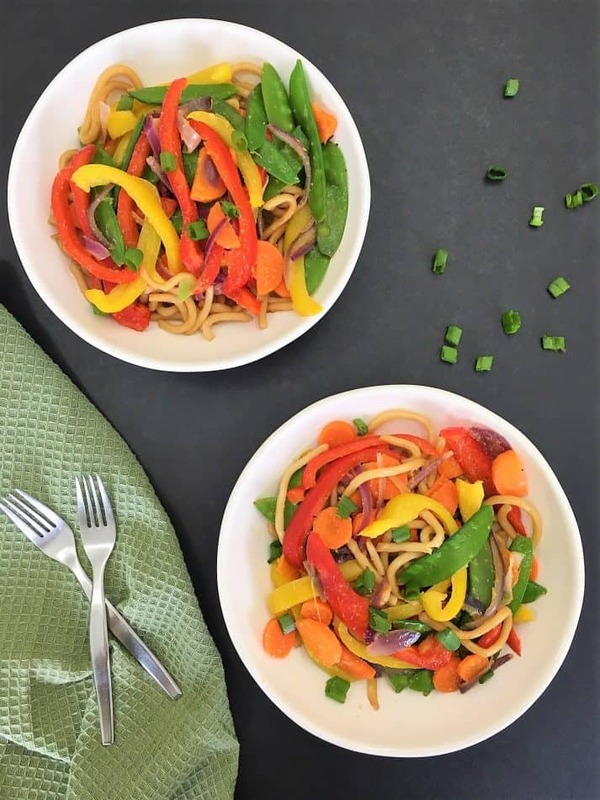 This vegetable stir fry is super easy and super fast, for a busy week night meal win! So much flavour, and beautiful appetizing colours, on your plate in only 15 minutes from start to finish. Seriously! How do you make 15 minute vegetable stir fry? Simple! 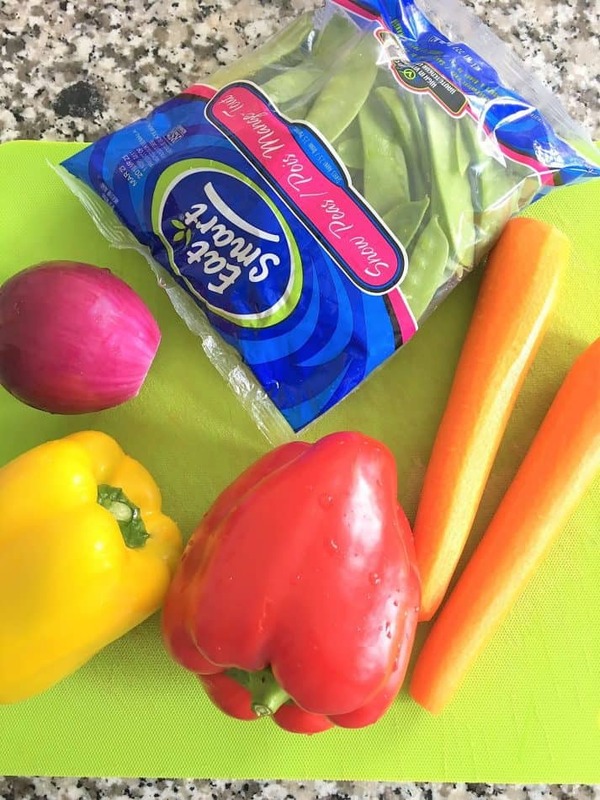 Quickly slice your veggies, keeping your peppers and onions a little thicker to save time, and really show up on the plate. Your carrots can be sliced a little thinner to speed up cooking time. The snow peas can be left whole. Toss them all into a large skillet along with the cooking oil and seasonings and sauté until tender crisp, about 5 minutes. Meanwhile, add the udon noodles to a separate skillet with the tamari (or soy sauce) and rice vinegar and heat until they easily separate. This will take about 2-3 minutes. 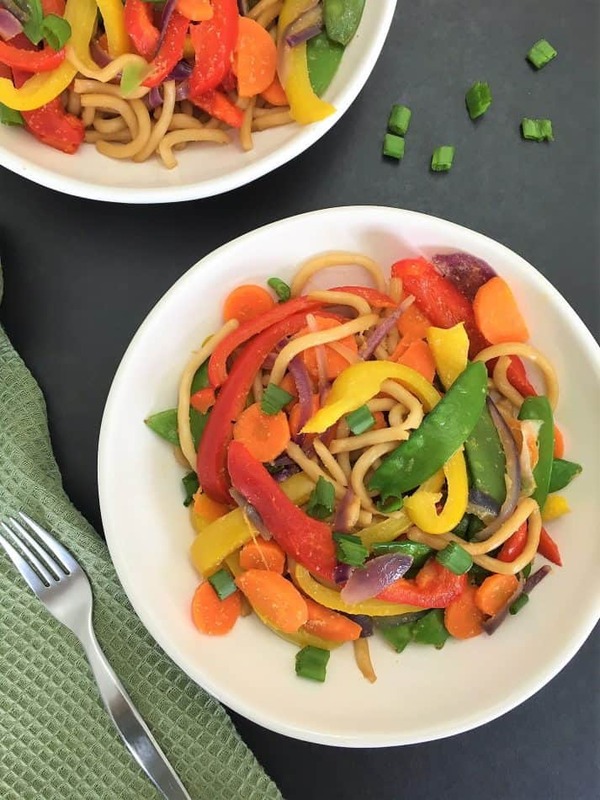 Serve your noodles with a large scoop of the sautéed veggies over top and enjoy! You may garnish with green onion, sriracha or chili flakes if desired. Or just dig right in! I like using udon noodles for this recipe because I find them so filling, hearty and satisfying, compared to other noodles. Plus they cook through in only a couple of minutes, and you do so quite simply in a frying pan. No need to wait for water to boil, saving precious time on a busy weeknight! However, if you need a gluten free option, you can definitely switch the noodles out to any variety you prefer. 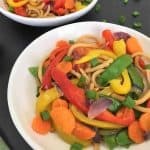 If you enjoyed this super simple, and super easy vegetable stir fry, you might also like some of these recipes! All ready in 20 minutes or less. 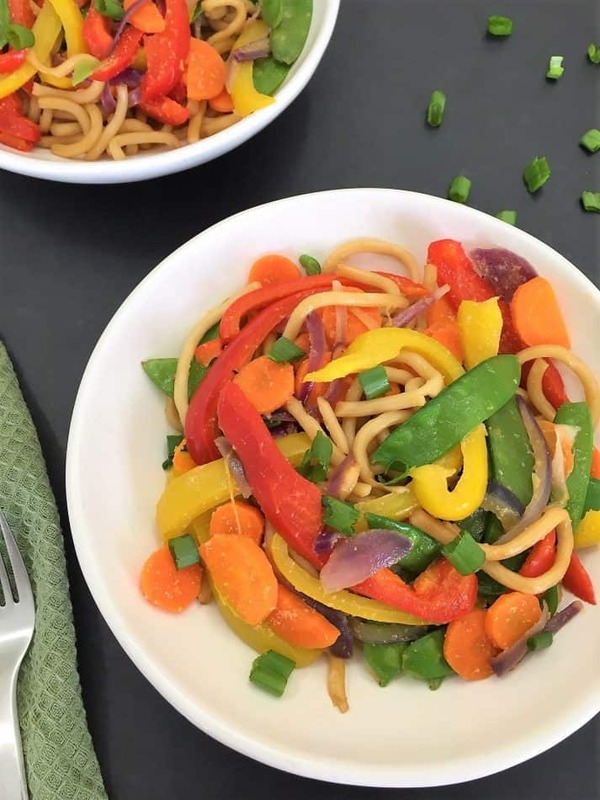 For a quick and easy weeknight meal, you can't beat this tasty 15 minute vegetable stir fry with delicious, hearty udon noodles. Add the oil, all the veggies, and the seasonings to a large skillet and sauté over medium high heat until tender, about 5 minutes. Don't overcook. Meanwhile, in a separate skillet, add the noodles, tamari and rice vinegar and heat over medium heat. Gently stir the noodles into the liquids to heat through, which will help them separate. This will take about 2-3 minutes. Serve your bowl with a scoop of noodles and the veggies generously poured over top. Garnish with green onion if desired. 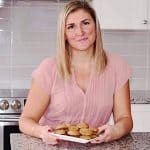 Not only is this a beautiful dish but also so easy and quick to make! What a perfect delicious dish for a weeknight meal! Yes, quick and delicious for the win! What a healthy, delicious and colourful dish! I love the sound of it – I bet it tastes as good as it looks! Thanks Alexandra! It sure does. 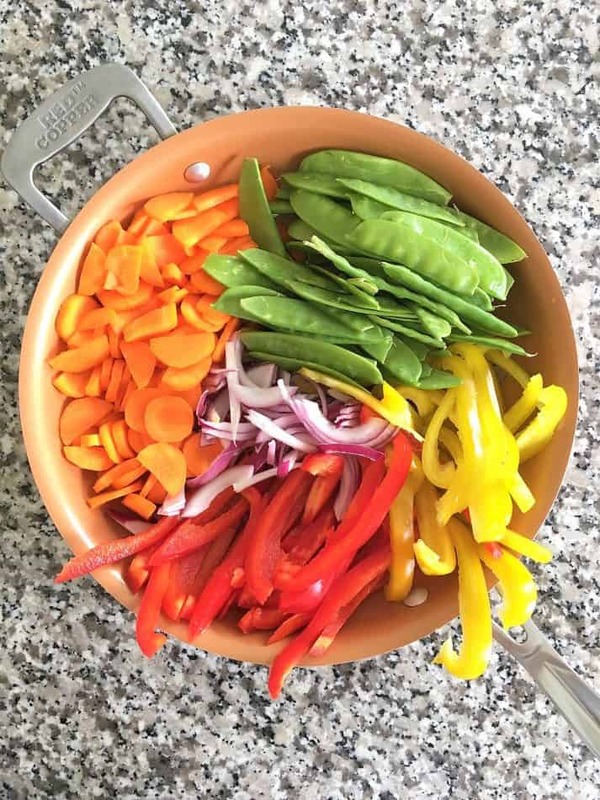 I love the colours in this dish – eat the rainbow! Looks so healthy and delicious. The colors of this dish are so vibrant!!! Very appeasing to the eye!